WordPress most used free CMS platform , you can make a website in 2 min using this tool . 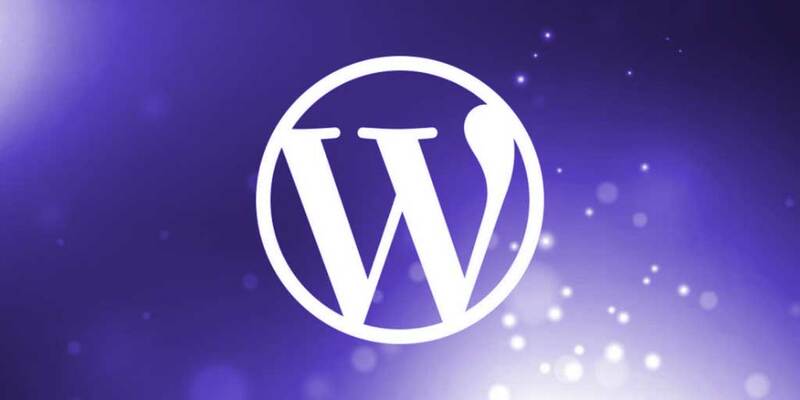 you can install WordPress in local server or online server . 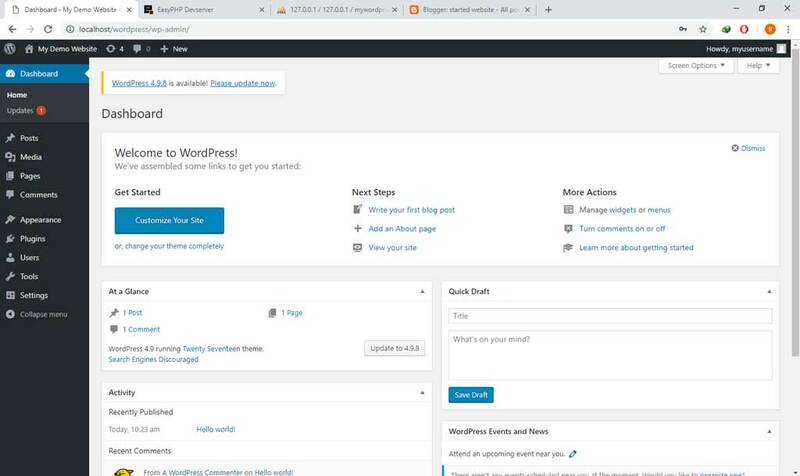 WordPress unlike other CMS is very easy to setup and not complicated no need much knowledge to use it , so there it is a few steps to how to install WordPress . 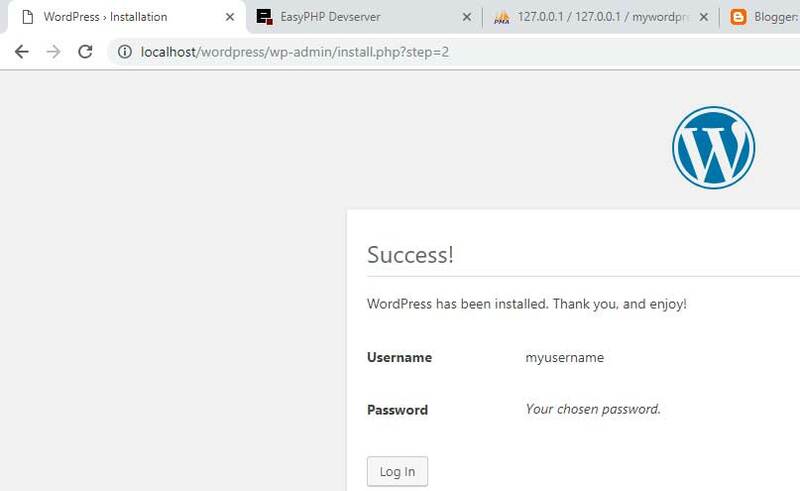 before you install WordPress you must have a local server or external server if you have a local server your server url will be http://localhost/ and your database authentication will be Username : root and password : empty . if you are using external server and hosting you will get that from your hosting provider . in both local or external server you are using software like EasyPhp Wamp Xampp they all the same the change only in interface ... 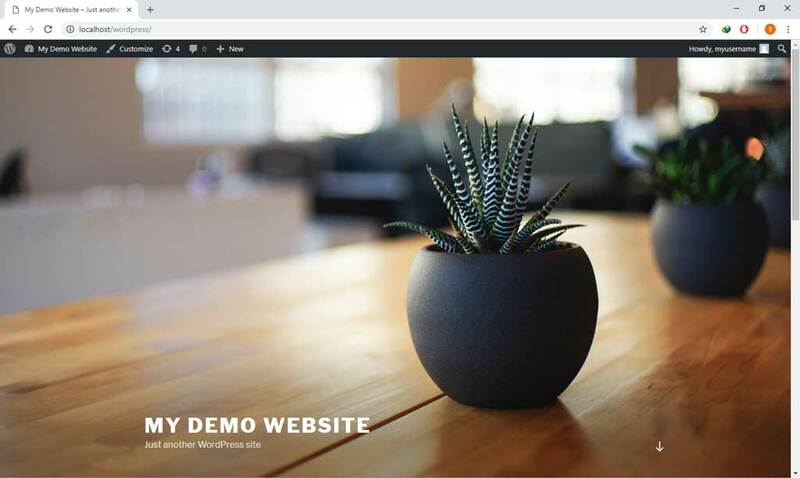 So in this article we will use EasyPhp . 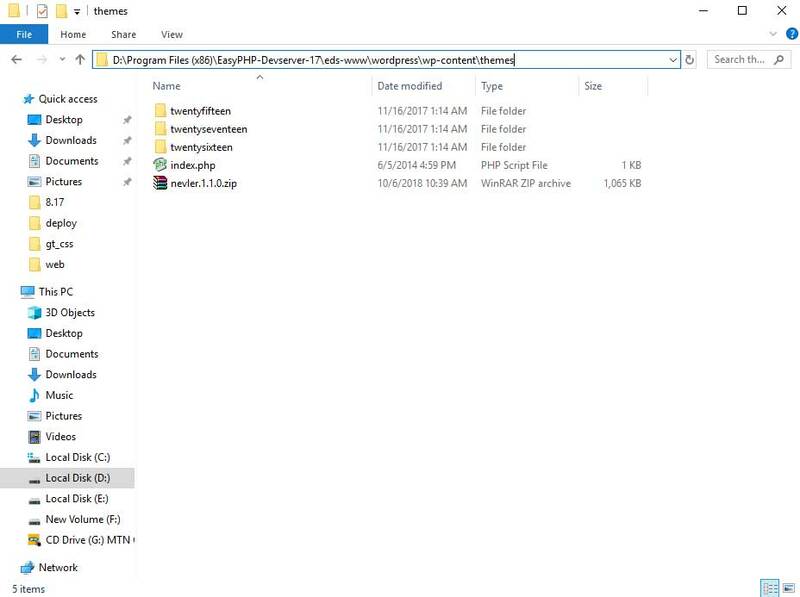 how to find your server working directory : if you are using local server and you are running EasyPhp your working directory will be eds-www you have to create all your file in that folder , and if you are using online server , when you login to your ftp server using FileZilla or any other ftp software you will find www or home or public_html folder ... that's will be your work directory everything must be there . 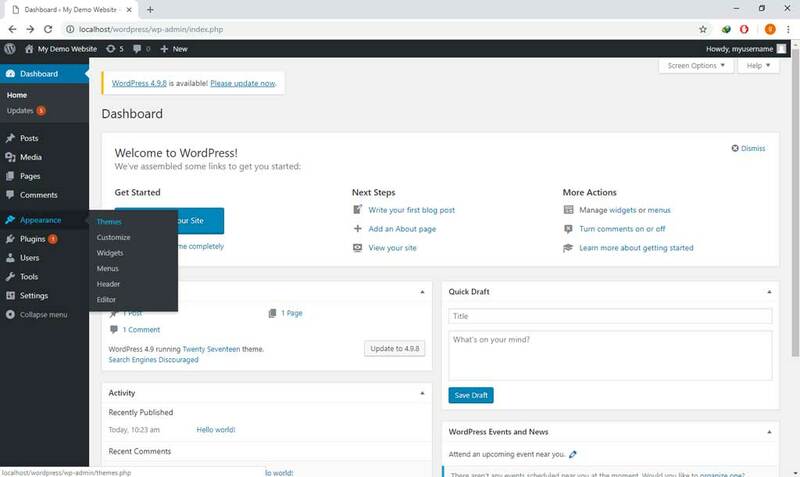 after you know all those detail download WordPress from its official website and copy it inside your working directory . 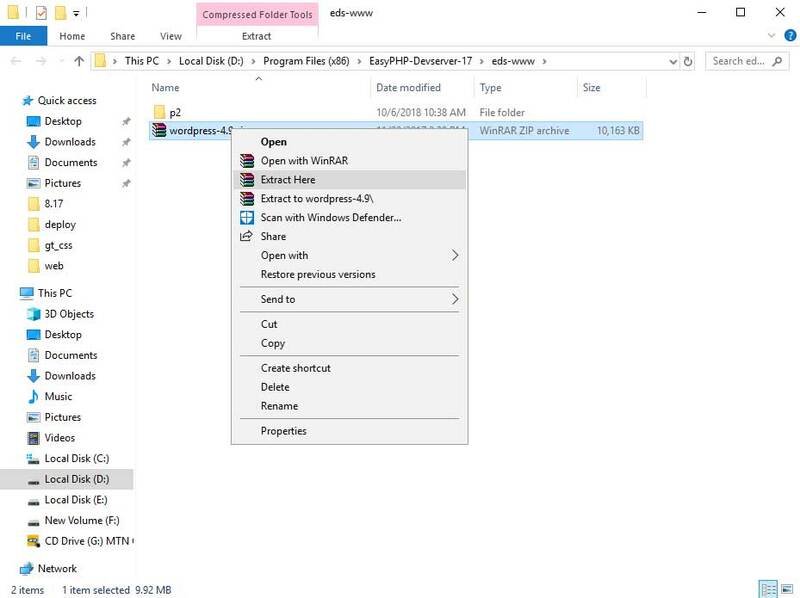 after download WordPress from WordPress website and copy it inside your working directory extract the zip archive , a new folder will be there if you want your website be like www.example.com/wordpress/.... keep your WordPress extracted file inside a WordPress folder . and if you want your website be like www.example.com/.... cut your WordPress files and paste them inside working directory . i'm using localhost so i will navigate to http://localhost/ to start install my website . so there it is WordPress folder press over it , a new interface will show up to start WordPress installation . 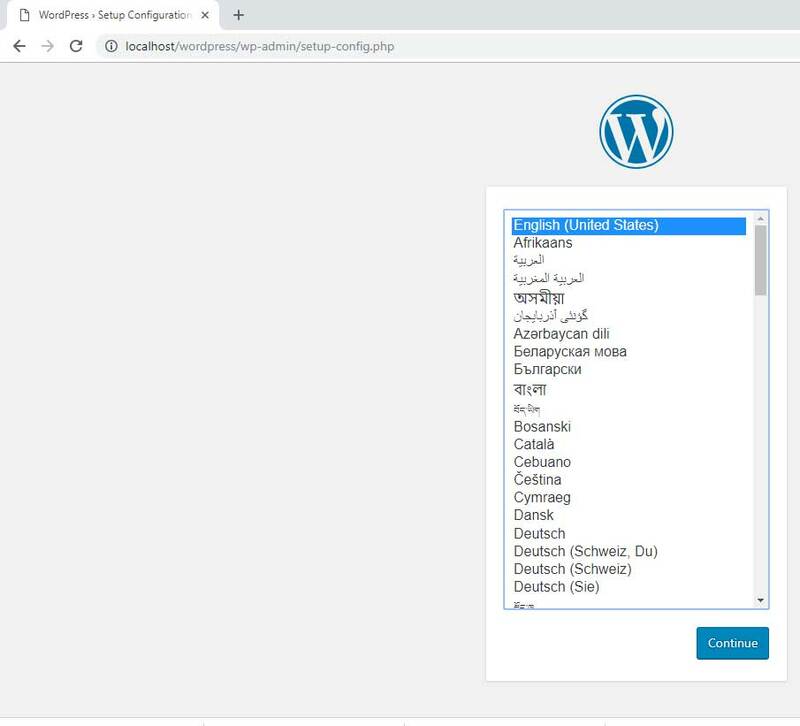 first step to install WordPress pick a language , this will be the display language of your WordPress interface and not your WordPress website . 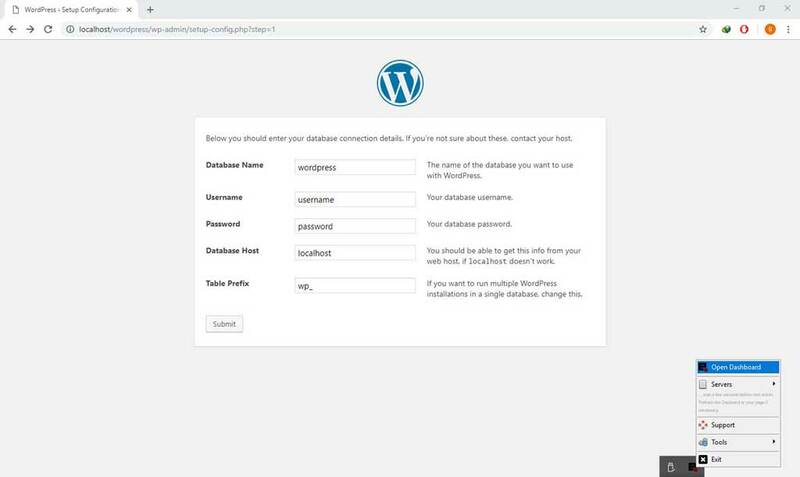 second step is to pick database detail , if you are using host package your hosting provider will give you the database detail username and password , so you will not have any problem . and if you are using a localhost you have to create a new database . 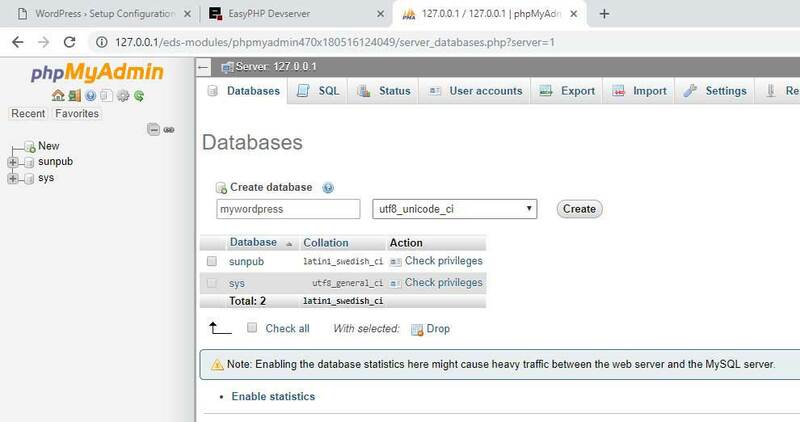 to create a database using EasyPhp you have to navigate to mysql dashboard in system try icon right click over EasyPhp and press Open Dashboard a new web page will open . 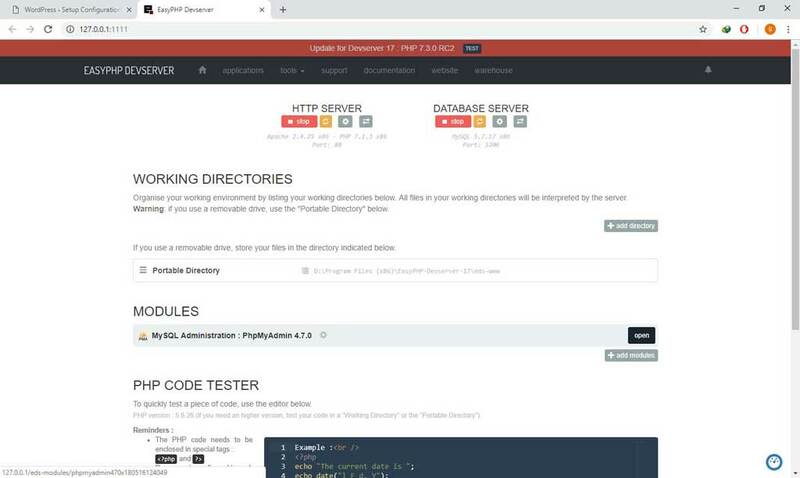 usually if your EasyPhp installed correctly you will see MySQL Administration : PhpMyAdmin module this module responsible for creating database , click over open , an new interface will open . 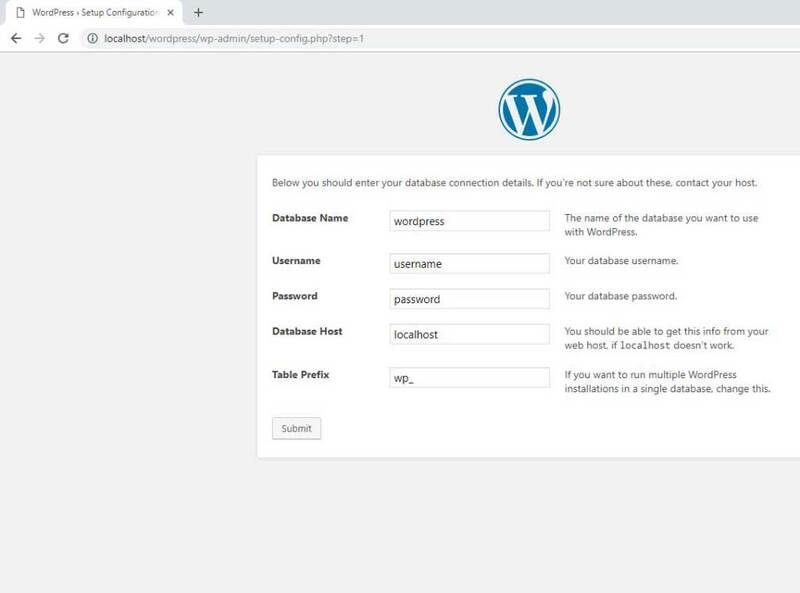 to start creating a database : create a database name , remember the name because you will use it for your WordPress database detail . in this example i name it mywordpress and of course select an encoding type utf8_unicode_ci this encoding support most Latin character . 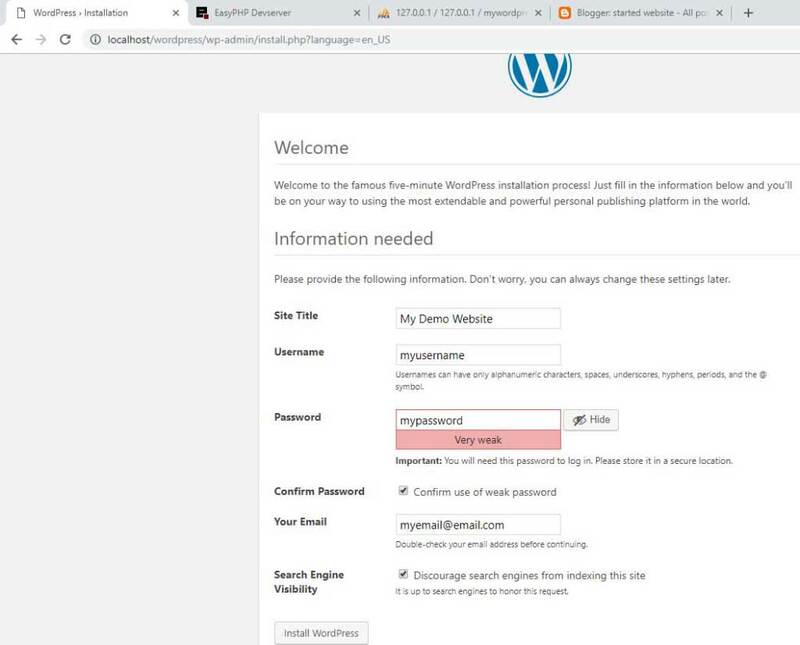 after creating the database go back to WordPress interface . 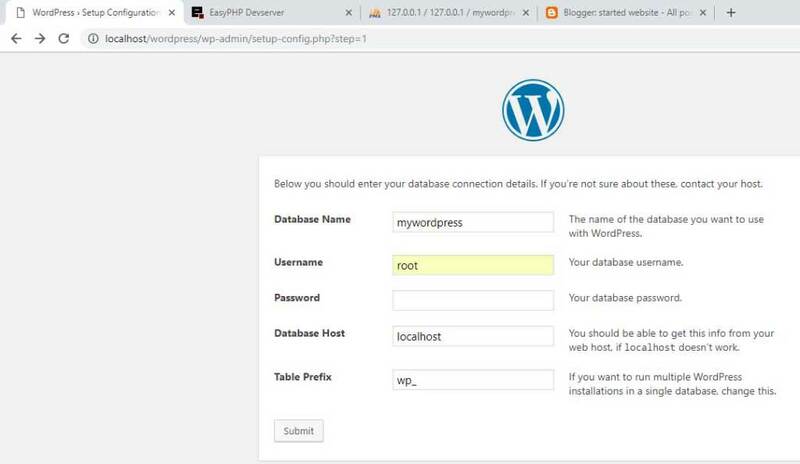 change your database connection detail inside the WordPress interface , in my example database name will be mywordpress username : root , database host : localhost , table prefix wp_ you can remove or change this wp_ it's not necessary . after you pick your detail press submit . 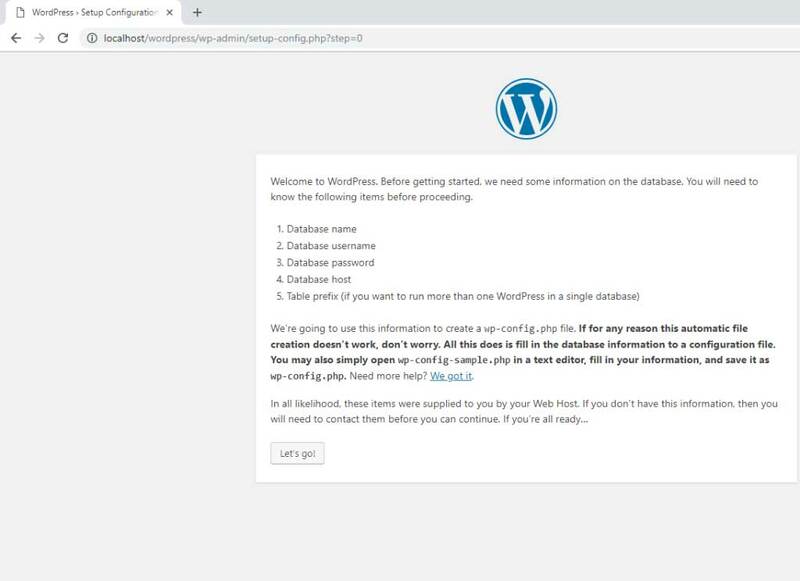 if your information are correct and connection to database established the next interface will be WordPress can now communicate with database ... press Run Installation . 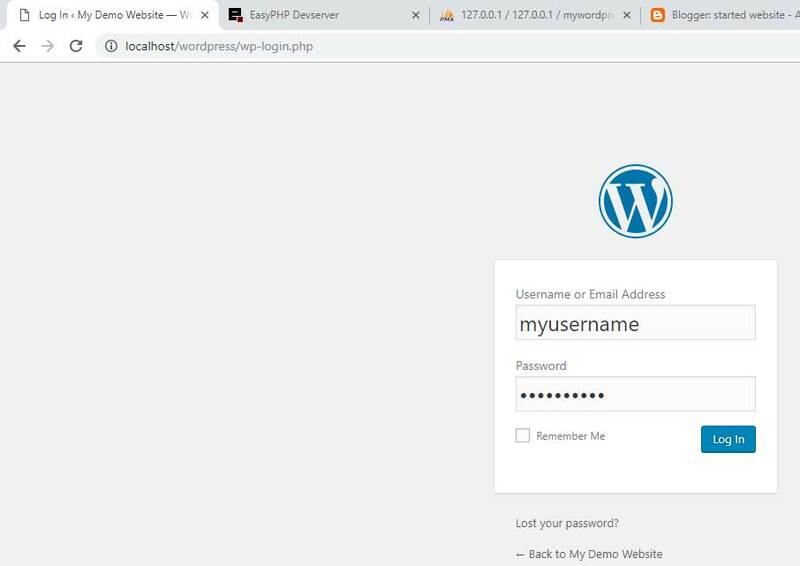 after installation done now you have to change your website login detail , pick a site title, username , password and email and press install WordPress . if your detail was correct you will have a new window press login another login interface will show up , pick your username and your password and press Login again . 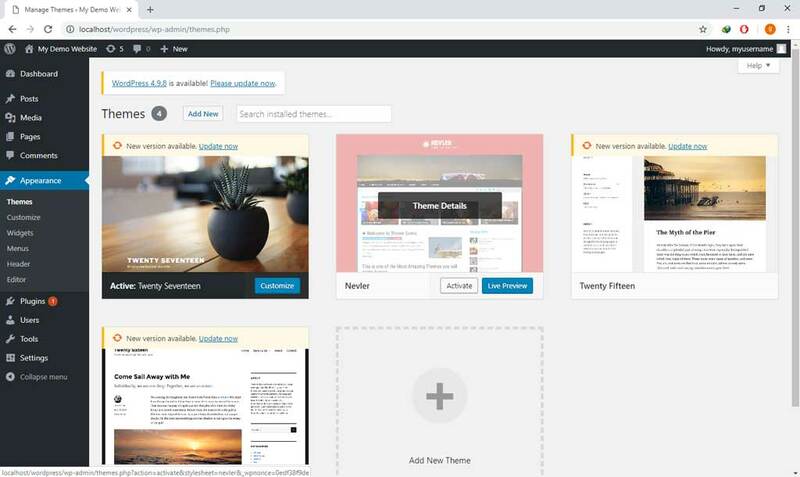 we are done to view your website : in your WordPress dashboard under next steps press view your website and there it is the WordPress default theme and default website . 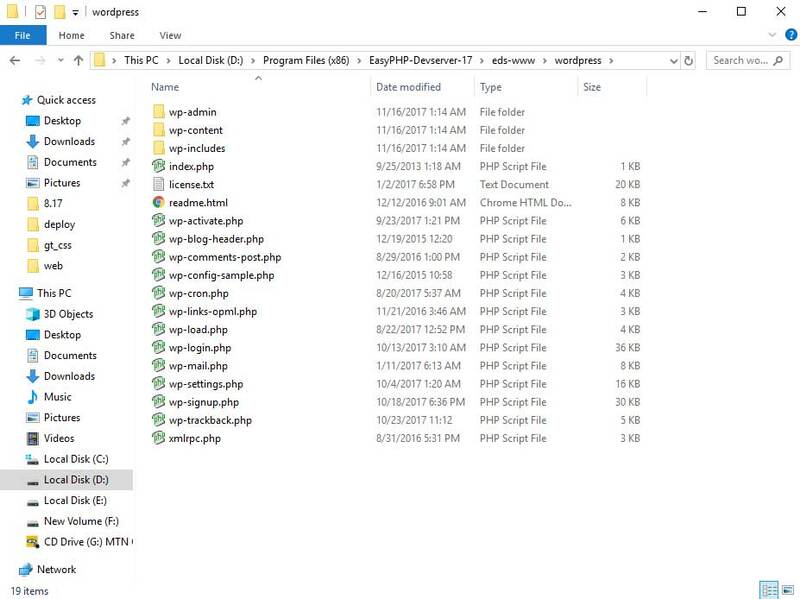 to install a new WordPress theme you have to download that theme buy or get it , go to your WordPress folder go wp-content/themes paste the zip archive inside themes folder , extract it there , the theme must not be inside two folder it must be inside one folder so WordPress can recognize it easy . 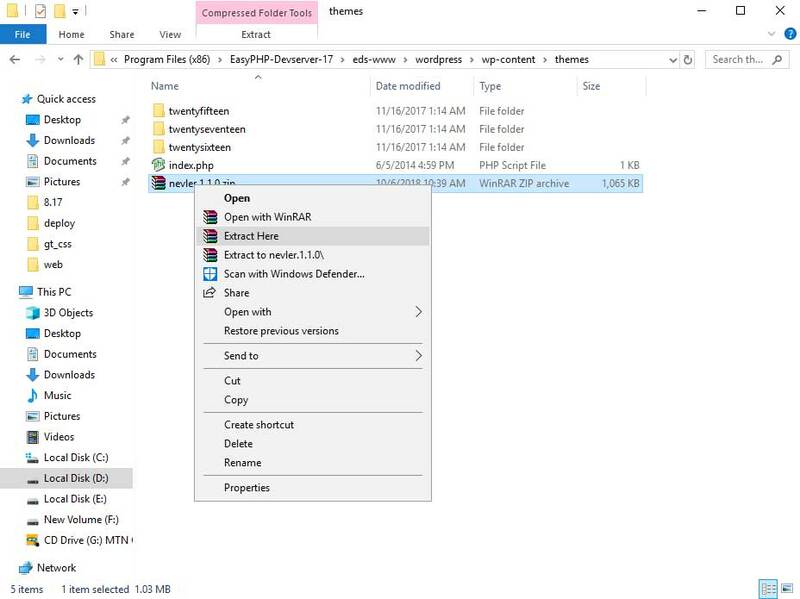 after copy the theme inside wp-content/themes and extract it go to your WordPress dashboard navigate to Appearance select Themes there you must find your new theme press activate the new theme will be activated now , if you don't find the new theme as i mentioned before check if your theme inside one folder because if you are using WinRar and press Extract to filename WinRar will create two folder inside each other and WordPress will not detect the theme .